Find CBSE Class 12 Physics Board Examination Pattern for the year 2016. In this article students can find latest Blue Print, Marks Distribution and important links that will definitely enhance their level of preparation. Physics is the most important subject of Class 12th as well as from the competitive exams perspective. It is the common subject for both engineering and medical entrance examinations and also considered as one of the toughest subject. 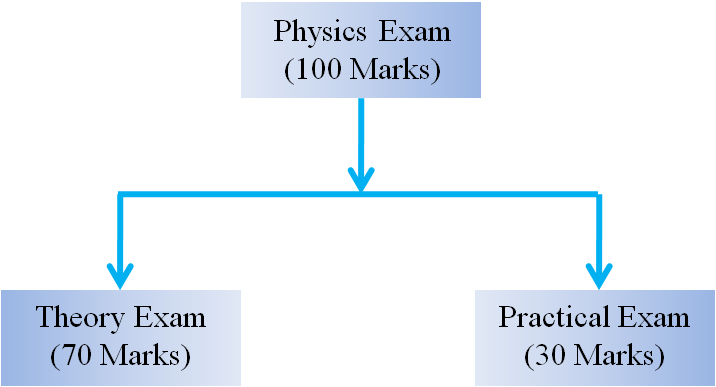 To score maximum marks in the Class 12th Physics Board Exam, students must know about the blueprint, paper pattern and other essential information related to the board exam paper. Previous year question paper and the paper issued by CBSE shows that there will be no overall choices in the coming board exam. However, an internal choice may be present for one question of 2 marks, one question of 3 marks and all the three questions of 5 marks.